All stem cells can multiply, proliferate and differentiate. Because of these qualities, leukemic stem cells are the most malignant of all leukemic cells. Understanding how leukemic stem cells are regulated has become an important area of cancer research. 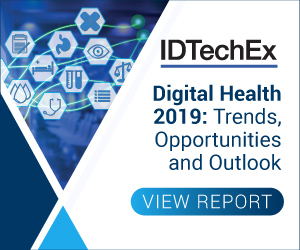 For more information see the IDTechEx report on Biomedical Diagnostics at Point-of-Care 2019-2029. A team of Tel Aviv University researchers have now devised a novel biosensor that can isolate and target leukemic stem cells. The research team, led by Dr. Michael Milyavsky of the Department of Pathology at TAU's Sackler School of Medicine, discuss their unique genetically encoded sensor and its ability to identify, isolate and characterize leukemic stem cells in a study published in Leukemia. Until recently, cancer researchers used markers on the surface of the cell to distinguish leukemic stem cells from the bulk of cancer cells, with only limited success. "There are hidden cancer stem cells that express differentiated surface markers despite their stem cell function. This permits those cells to escape targeted therapies," Dr. Milyavsky explains. "By labeling leukemia cells on the basis of their stem character alone, our sensor manages to overcome surface marker-based issues. We believe that our biosensor can provide a prototype for precision oncology efforts to target patient-specific leukemic stem cells to fight this deadly disease."